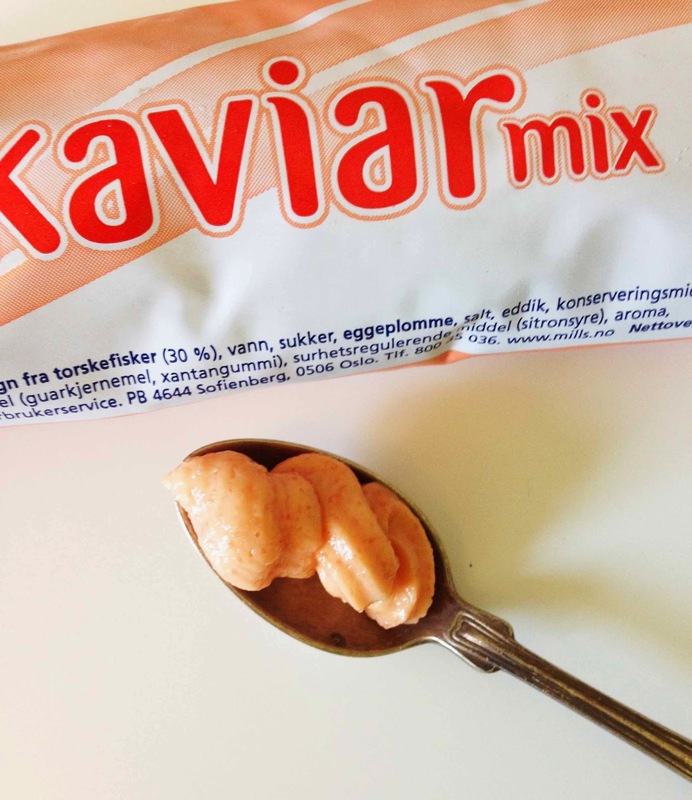 Kaviarmix is a creamed, cod roe paste product. Not to be confused with caviar, kaviar is especially popular in Sweden and Norway where the Kalles Kaviar-brand is the most famous. When most kaviars are salty because of the smoked roe, Kaviarmix was particularly mild (the product emphasis on it's mildness). It was lightly orange in color, a bit oily and had the smoked roe character but just a little touch of saltiness. Kaviars like Kalles kaviar is too salty for me so Kaviarmix was right up my alley. I bough it online from Norway, too bad it can't be found in Sweden. As a foreigner kaviar is probably something you don't like at first taste. It takes a while to get familiar with the special taste. But I encourage you to try it. If you can't find Kaviarmix, Kalles Kaviar or any other brand, kaviar can be found in IKEA stores under the name Smörgåskaviar.